CARLOS CRUZ-DIEZ (b.1923) Franco-Venezuelan artist Carlos Cruz-Diez is a major figure in the field of Kinetic and Optical art, a movement that encourages “an awareness of the instability of reality.” Living and working in Paris since 1960, Cruz-Diez has established himself as one of the key twentieth-century thinkers in the realm of color. The visual art of Cruz-Diez explores the perception of color as an autonomous reality evolving in space and time, unaided by form or support, in a perpetual present. The artist has researched and experimented with the phenomenon of color via three chromatic conditions: subtract, additive and reflecting. 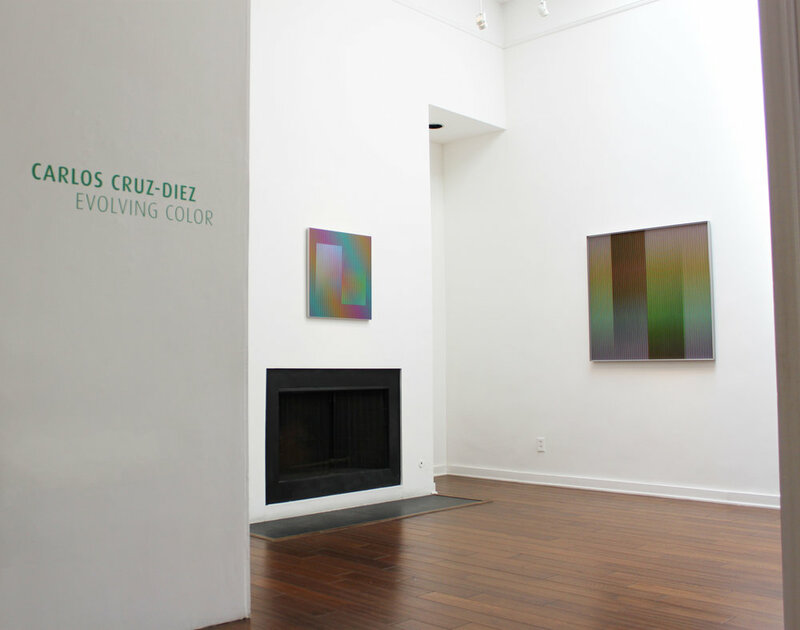 For Cruz-Diez, color is not dependent on form, but an event unto itself, possessed of distinct properties and responsive to physical circumstance. 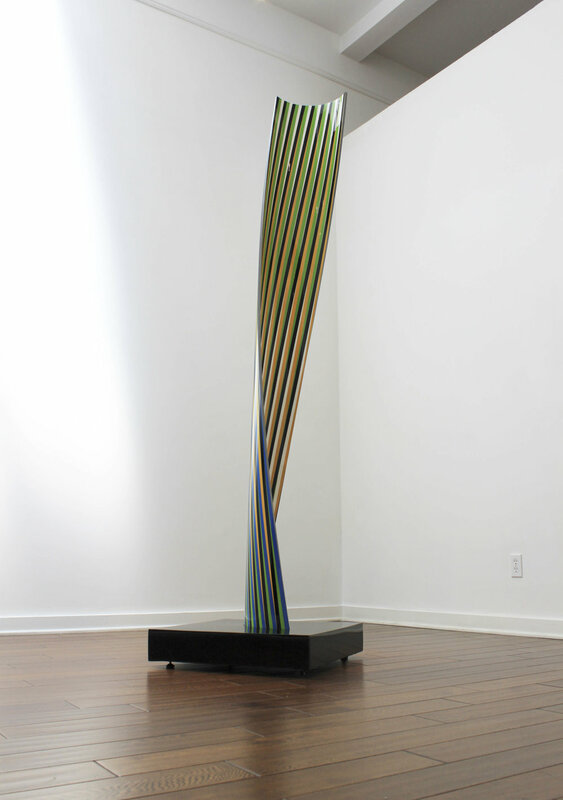 In much the same way man lives and exists in an evolving universe, Cruz-Diez posits color as a similarly evolving and energetic presence. In his artwork, the viewer’s experience of seeing is transformed without anecdotes or symbols into a dialogue between equals. Cruz-Diez holds three Honorary Doctorates from the Universidad Simón Bolívar, Caracas, Venezuela (2006); Universidad de Los Andes, Mérida, Venezuela (2007); and Universidad Central, Caracas, Venezuela (2014). 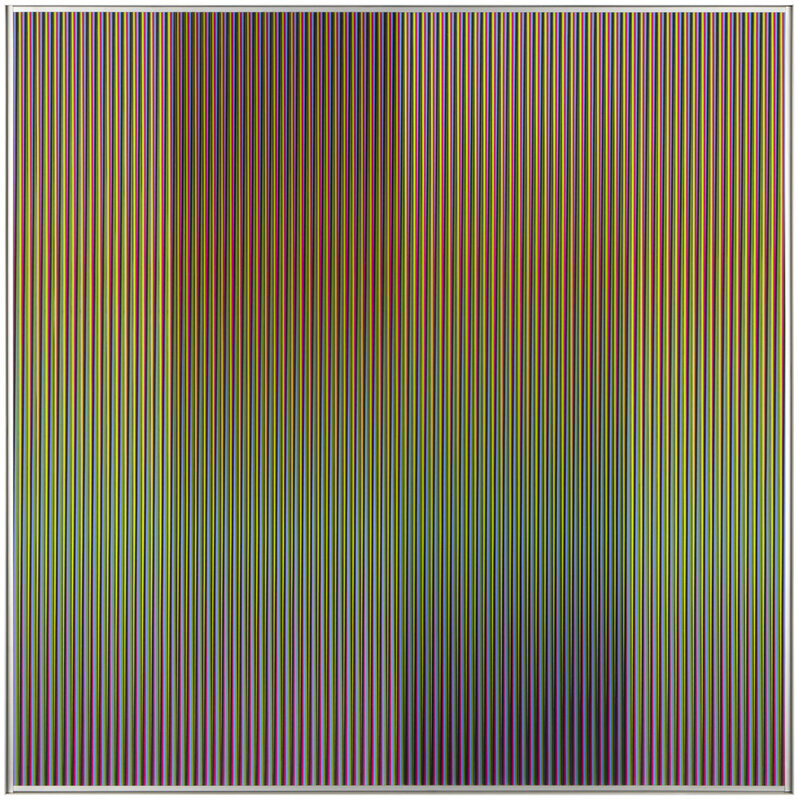 Work by Cruz-Diez is housed in such prestigious permanent collections as the Museum of Modern Art, New York; Tate Modern, London; Musée d’Art Moderne de la Ville de Paris; Centre Pompidou, Paris; Museum of Fine Arts, Houston; and Musée d’Art Contemporain de Montréal, Canada.